Women’s fiction is often about choosing who to trust as much as it is about finding someone to love and be loved by in return. My novel After I Left You is no exception, but my heroine Anna’s revelations about what happened to her in the past also touch on issues that are perhaps less often explored in the genre, and which I was determined to attempt to tackle… though also thoroughly intimidated by. At this point I have to issue an all-caps *SPOILER ALERT* to anyone reading this who hasn’t read the book. I’m not going to unpick the fine detail of the story here, but the quotes and articles that follow will give you a pretty good idea of where it is heading – and also, perhaps, why it is such a difficult story for Anna to tell. The newspaper and magazine articles that I’ve compiled here caught my eye not so much because I went looking for them as part of focused research, but because they helped me to understand the context in which I was working, whether I came across them during or after the process of writing the book. Yesterday I went along to talk to a book club in Oxford and took these cuttings along with me, but in the end I didn’t share them. So, inspired by the points that came up during the book club, I thought I’d list the cuttings in a blog post, and hope they’ll be thought-provoking for readers who are looking to open the novel up for discussion. I described the novel to the readers I met yesterday as a coming-of-age novel with a 17-year time lag, and I suggested that Anna was like a Snow White figure, a woman who has been effectively frozen ever since the trauma she went through when she was 21, at the end of her time at university. She is only now beginning to come back to life, acknowledge her past and lay claim to her future. Anna has never spoken to anybody about what has happened to her, and as she tells her story she is moving towards the point when it will finally become possible for her to break her silence. It’s a novel about what is not said and about finally finding the courage to speak out. So why is it so difficult for Anna to speak freely? Why has she chosen to cope with what has been done to her by ignoring it, avoiding it, and behaving, more or less, as if it never happened? I read Rebecca Mead’s excellent profile of Mary Beard in The New Yorker because of the light it promised to cast on how Mary Beard has dealt with online abuse. I encourage you to read the whole article, but here are some quotes by way of introduction. The article opens with an account of a talk Mary Beard gave earlier this year about ‘the many ways that men have silenced outspoken women since the days of the ancients’. It goes on to describe how, in 2000, Beard wrote an essay for the LRB which included an account of being raped in 1978 while travelling in Italy as a graduate student. The great majority of rapists were known to their victims. ‘A learned behaviour upheld and reinforced by a broader social context’… For more about how such learned behaviours can be changed, see the TED talk by Jackson Katz about preventing sexual violence and domestic abuse. Fiction. Cultural script. Popular culture. Myths. The stories that we tell each other matter. What do we find truthful? What are we willing to believe? And who are we willing to listen to? After I Left You is out there! The launch was held last week, on a beautiful moonlit evening in the garden at Mostly Books in Abingdon (you can read about it on the Mostly Books blog and the Abingdon blog). Now it’s on the shelves at independent bookshops, Tesco and Sainsbury’s, and is also available from Amazon. In a couple of weeks’ time I’m due to do my very first book group talk about the book, with the book group at work. I’ve had a think about questions that might be helpful for book groups who want to discuss the novel, and here they are. I don’t think there are any spoilers here, but you might want to wait until you’ve read it before you look through them – they will definitely make more sense then! If you have read the book, I’d really welcome your thoughts. 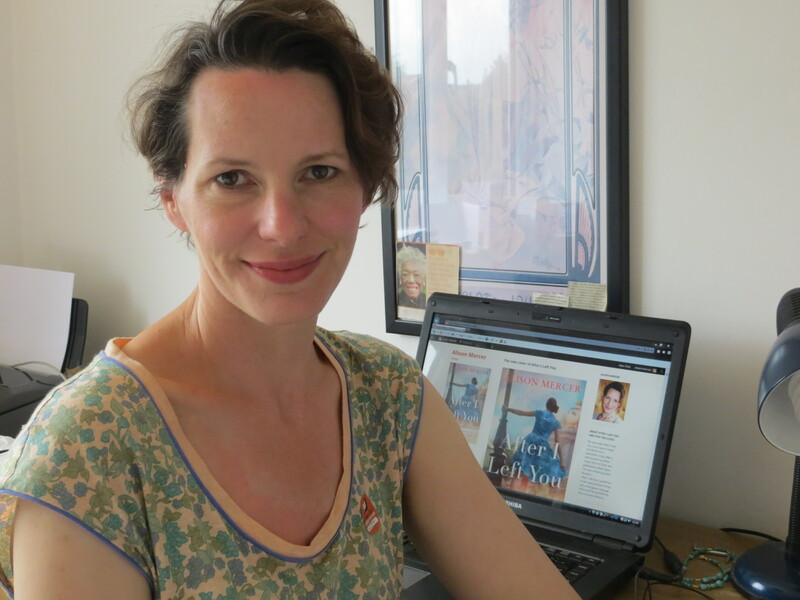 Do let me know if there are any other questions that you think would be useful, and if there are any you would particularly like to discuss with other readers – and also, of course, I would be very interested to know your responses! If you’re in the Oxford area and your book group is going to be discussing AILY and you’d like me to come along and talk about the book, post a comment to let me know and let’s see if we can sort something out. Also, plans are shaping up for an event in north London next month – details to follow. What was your reaction to what happened to Anna on the night of the ball? What are the fairytale elements of Anna’s story? What, or who, makes the fairytale go wrong? Do you think it is possible to stay with your first love? What would happen if you bumped into your first love in a bookshop one day? How are the different friendships in the story represented? One of the key friendships in the novel is Anna’s friendship with Keith. How would you describe this friendship? What other novels spring to mind that include a portrayal of a friendship between a man and a woman? Who leaves who in the book? Which characters make peace with each other, and what does it take for this to happen? By the end of the novel, what change has Anna experienced? 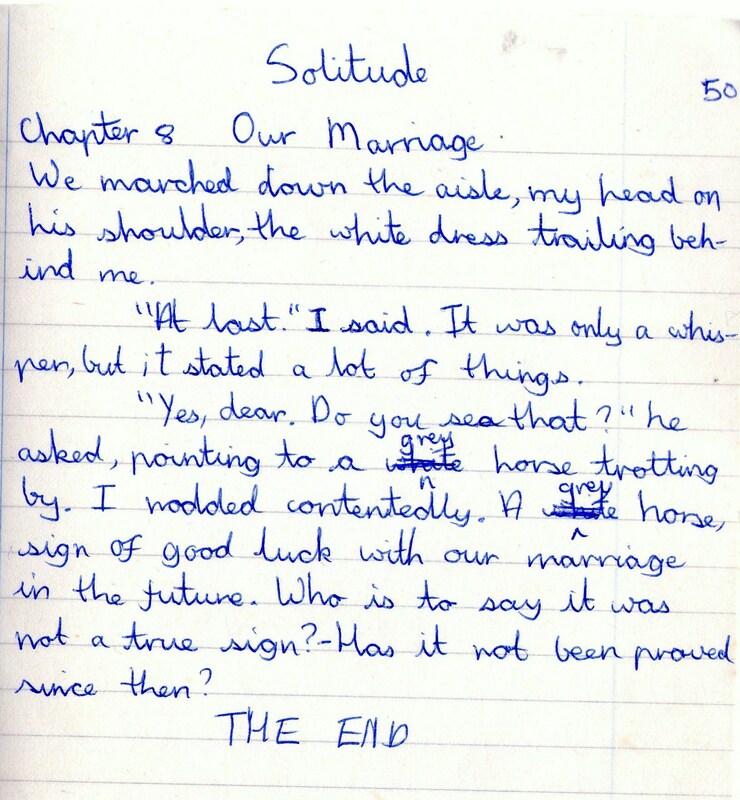 How is she different to the beginning of the novel? lucky nail varnish ready for the launch – wore it for my Thames swim too! ‘Reader, I married him.’ A great love story can end that way, but only after a load of trouble. As we know from Shakespeare, true love involves a rocky ride, in literature at least. A compelling romance must have drama; someone, or something, has to oppose it and try to stop it happening. And in a truly great love story, the threat to the lovers has to appear insurmountable. We want to believe that love can conquer all, but at some point in the story, it has to look horribly likely that love is going to lose. In John Green’s The Fault in Our Stars the stakes are sky-high from the outset; the forces ranged against the young lovers are depression, loneliness, illness and death. But that doesn’t stop the spark between them at that first meeting. If anything, it intensifies it. True love is stubborn to a fault, and flourishes in the face of poor odds. It is also not sensible, convenient or rational. I can understand why Charlotte Lucas accepts Mr Collins’s proposal in Pride and Prejudice, I can even admire her pragmatism, but nobody would dream of describing their relationship as a great love story. True love changes the lovers; in a really great love story, there will always be a transformation (or several). Take Romeo, who is teased by his friends at the beginning of Romeo and Juliet for moping around and pining for someone who isn’t even interested in him. He believes himself to be in love, but he doesn’t really know what it is. Then he meets Juliet and – kapow! – he is no longer a self-indulgent boy. He is also no longer unrequited. Great love stories are never one-sided; there may be spells of confusion and separation and alienation – in fact, there almost certainly will be – but ultimately, the lovers will find some kind of equilibrium, even if this is only possible when they have lost their lives (think Wuthering Heights). They might not start off as equals, at least not in society’s eyes, but they have to end up that way, from the reader’s point of view if not the world’s. Jane is Rochester’s employee and his social inferior, but she is not about to let him get away with anything. This leads to a fair amount of sparring, which he seems to quite enjoy – they are clearly comfortable with each other – but a series of increasingly deadly threats rise up to force them apart. Jane has a love rival: the beautiful, wealthy and heartless Blanche Ingram. And then there is the madwoman in the attic, and the revelation that forces Jane to flee. Lovers do not keep secrets from each other; any attempt to keep the past locked away out of sight is an enemy to love. 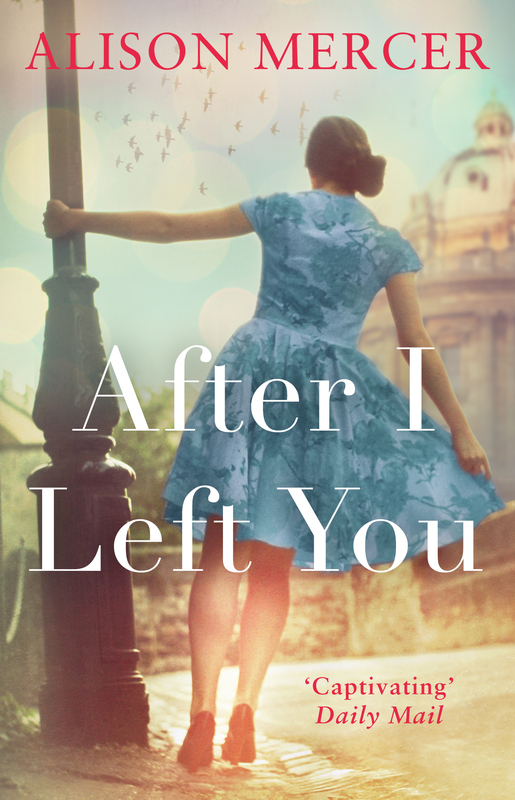 In After I Left You, my new novel, Anna last said goodbye to Victor, her university boyfriend, seventeen years ago, and she has never told him the full story of the chain of events that led to her decision to cut off all contact with him. Something has silenced her, and she has lived a kind of half-life ever since. When they meet again, her old feelings for him begin to return; but if she is to seize her chance of happiness, she is going to have to make the leap of faith that is always part of love, overcome her fears, give up her secret and speak out. Where there’s love there’s hope, and in any love story there is the possibility of transformation, and a question to be answered: will they or won’t they come together in the end? A version of this post first appeared on the Diana Verlag blog. 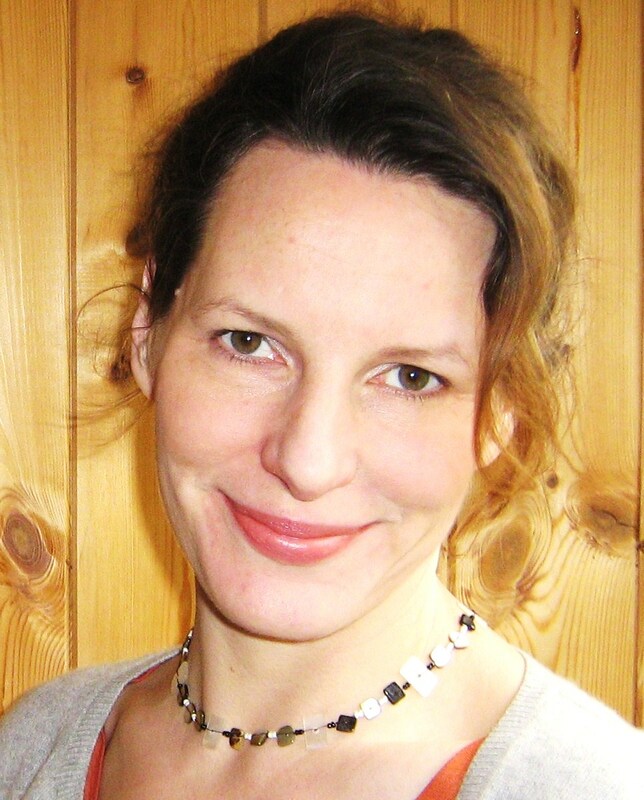 Diana Verlag is the publisher of the German edition of After I Left You. Some years ago, standing by the buffet at a family occasion, I witnessed a brief encounter between a middle-aged woman and an old flame. As they turned towards each other they both seemed to soften, and although the years didn’t quite fall away from them, it was possible to glimpse their younger selves. I didn’t know anything about the history between them, but then, I didn’t really need to. It was a public moment that was also very private; it was quite clear that whatever was involved in that exchange was none of anybody else’s business. Inevitably, the time came for them both to move on, and be reabsorbed into the social scene going on all around them, with its greetings and small talk and introductions and catchings-up; and it was almost, but not quite, as if whatever had passed between them had never been. At the beginning of my new novel, After I Left You (out July 31), Anna, the heroine and narrator, has a similarly poignant conversation with Victor, her first love. Their paths cross in a London bookshop. She is not looking her best, having come in to shelter from the downpour outside; she is drenched, her hair is dripping, and she is carrying a hideous lilac bridesmaid’s dress over one arm. They talk, briefly, and part with much left unsaid. The past may be behind us, but that doesn’t mean it’s gone for good. For Anna, this meeting does more than stir up memories of love. She hasn’t seen Victor for 17 years; she cut off all contact with him and their group of friends from university when she left. He reminds her of times she would rather forget and the secret she has never told him, and she is not at all sure that she is ready to face up to the past. But try as she might, she can’t keep away from it. Before long her story jumps back to the early 90s and she is eighteen again, arriving at university and meeting Victor for the first time. The novel moves between two timelines – her student days and her present – and gradually reveals exactly what it is that Victor doesn’t know. That’s part of the power of secrets. Truth has a way of burrowing up to the surface, and a revelation can break down the distinction between then and now, and bring what happened years ago right into the spotlight of the present. The past can change us and change with us. It may be behind us, but that doesn’t mean it’s gone for good. The Conservatives seemed to have been in forever, pub interiors were havens for smokers (and there were many of them), ciabatta and cappuccino were sophisticated novelties and if somebody made you a mixtape you knew they really liked you. It increasingly seems like another world, and working on After I Left You gave me the chance to revisit it. But, like Anna, I did find that in some ways twenty-odd years really don’t make a lot of difference. Everybody’s younger selves were still there, and became more visible the longer you looked. It was a vivid reminder that the past is always out there somewhere; chances are that sooner or later, whether you seek it out or not, you’re going to walk right into it. A version of this blog post recently appeared on The Page Turners Facebook page. After I Left You has a new look! This is the cover design for the paperback, which is due out at the end of July. I hope you like it. I think it’s a beauty, and captures perfectly a certain kind of sunny afternoon, and the feeling of being free and happy in a golden place and time. Sometimes covers even feed into a book. There’s a scene in Julie Cohen’s excellent Dear Thing that involves a pair of baby shoes. Julie mentioned that she put the baby shoes into the book after she’d seen the cover design for the hardback, which featured someone holding a pair – it was too good a metaphor to miss! BIG thank you to everyone who has said kind things about the cover of After I Left You – here are some of the comments – and thank you so much to everyone who has shared it. The response has been lovely and I’m really grateful. @AlisonLMercer @rowancoleman @creativepumpkin Wow, that really is captivating! Lovely. @AlisonLMercer @katyreganwrites @creativepumpkin oh stunning! @AlisonLMercer @TransworldBooks Love that cover – well done everyone! @AlisonLMercer @ChickLitChloe @TransworldBooks Love this, what a beautiful cover. 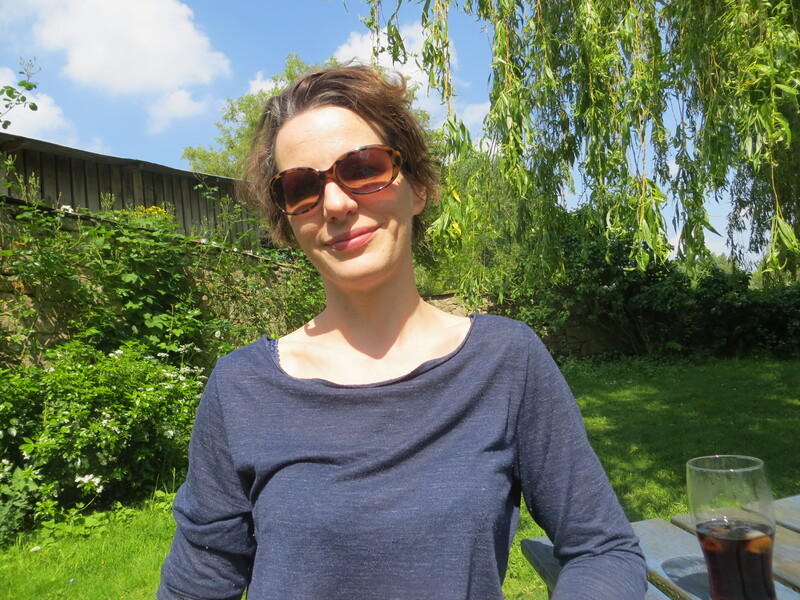 I was nervous about setting my new novel, After I Left You, in Oxford, but my editor talked me into it. It’s a challenge to write about a place you love without pretending that it’s somewhere else, especially if it’s very close to home. In the end, I’m really glad Oxford’s in there. Books need to have avatars of things you feel strongly about in them. It’s as if the book digests your emotional attachments and translates them into something that is no longer personal, but is (hopefully) available to anybody who reads the story. I did fictionalise Oxford a little, and blurred some of its geography and landmarks. 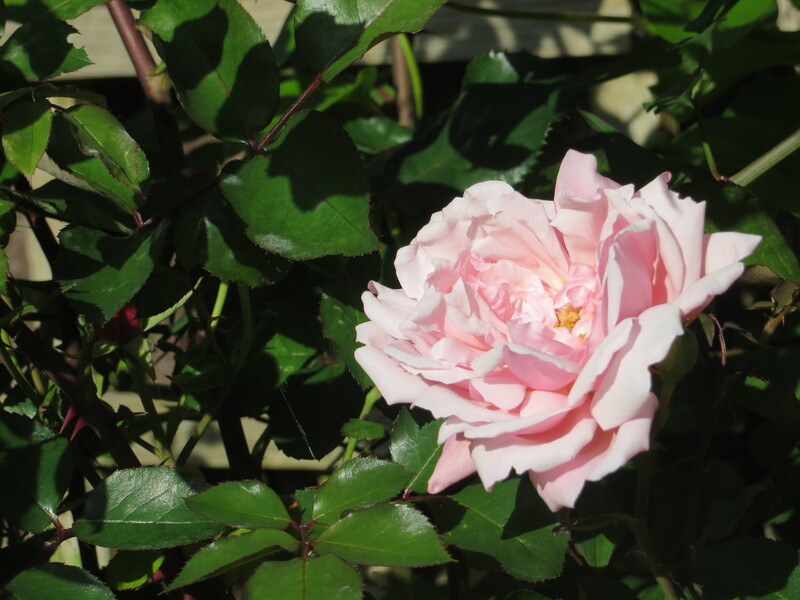 Here are ten things I love about Oxford and the surrounding countryside, and suggest you sample if you go there. I’m pretty sure I had some Moments of Destiny in the King’s Arms. Anna certainly has one in the Wickham Arms in After I Left You. My heart belongs to the Queen’s Lane café, which brings back memories of cutting class to eat carrot cake with the indie-music-loving, long-fringed boy of my dreams. My son, who has autism and a fascination for things that go round, loves Brown’s in the covered market for the ceiling fans. 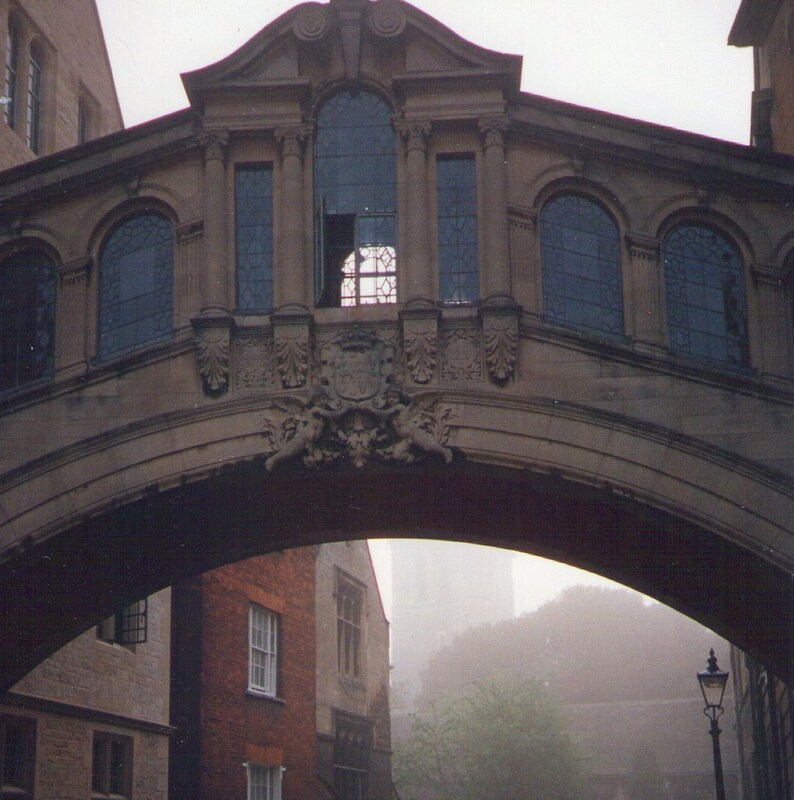 I first visited Oxford when I was 10 or 11. I was into dungeon-and-dragons style books at the time, where you had to choose which way to go and then turn to the page to find out if you’d arrived at treasure or a nasty imp. Oxford, with its cloisters and quadrangles and halls, struck me as being a made-up fantasy place like the kingdoms in the books, where anything could be lurking round the corner. A friend who read a proof copy of After I Left You said she was waiting for the White Horse to turn up, and sure enough, a version of it does. ‘No one went for truth, then,’ I said. ‘No,’ Clarissa agreed. ‘In the end, no one did,’ and she started the drive back to Oxford. 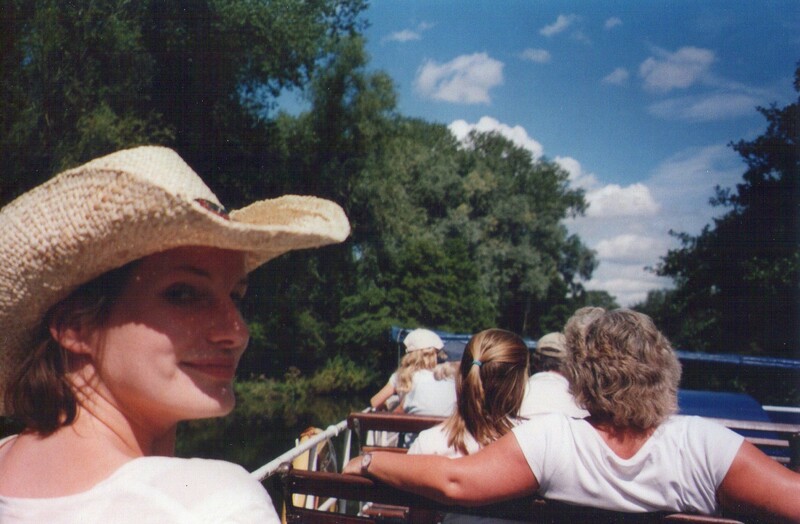 I love a walk through Christ Church meadows, and the Salter’s Steamers boat trip from Abingdon to Oxford. In After I Left You, when Anna meets up with her friend Meg and looks through her photo album, she sees a snap of the friends together on a bench near the river: ‘there we all were, squeezed on to a bench overlooking the river on a frosty autumn morning, happy and complete and sure of ourselves, a pack surveying its territory’. 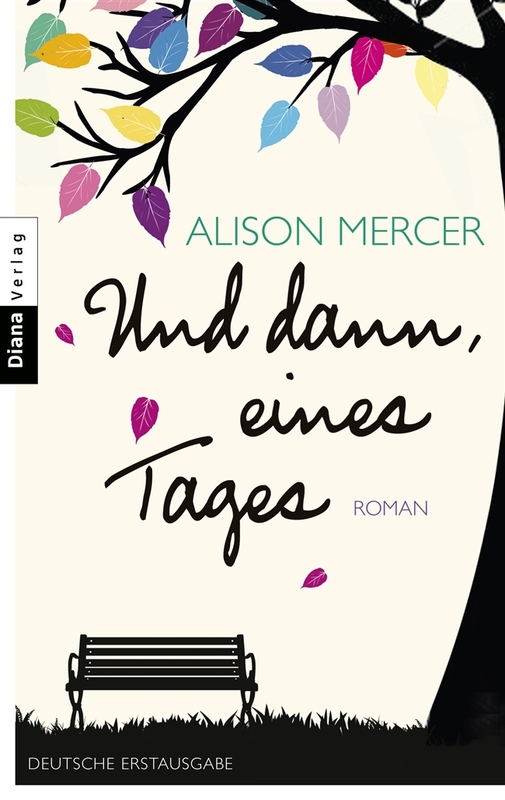 And here’s the cover of the German edition of After I Left You (out in June!) showing what I imagine to be the same bench years later. If you go punting, in my experience, the trick is to find someone who knows what they’re doing and persuade them to do the punting bit, while you lounge around taking in the scenery and drinking something fizzy. 8. The Oxford University Museum of Natural History and the Pitt Rivers Museum. Dinosaurs! Shrunken heads! Witchy stuff! 9. St Margaret’s Church and St Margaret’s Well. 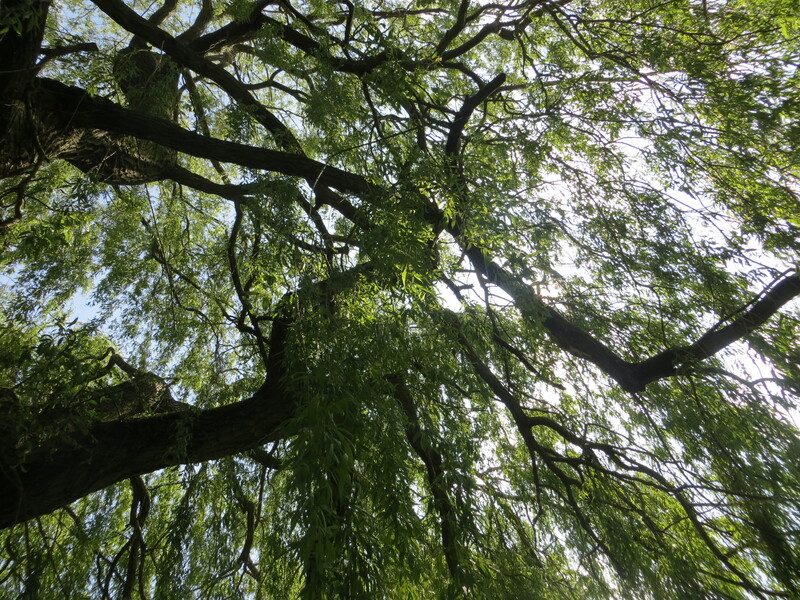 A canopy of leaves sheltered the little congregation of the dead from the wind, the sun and the rain. It was as if we were already inside, if not a church, then some other protected space. It’s a magnificent building, but what I love most about Bleinheim is the view. 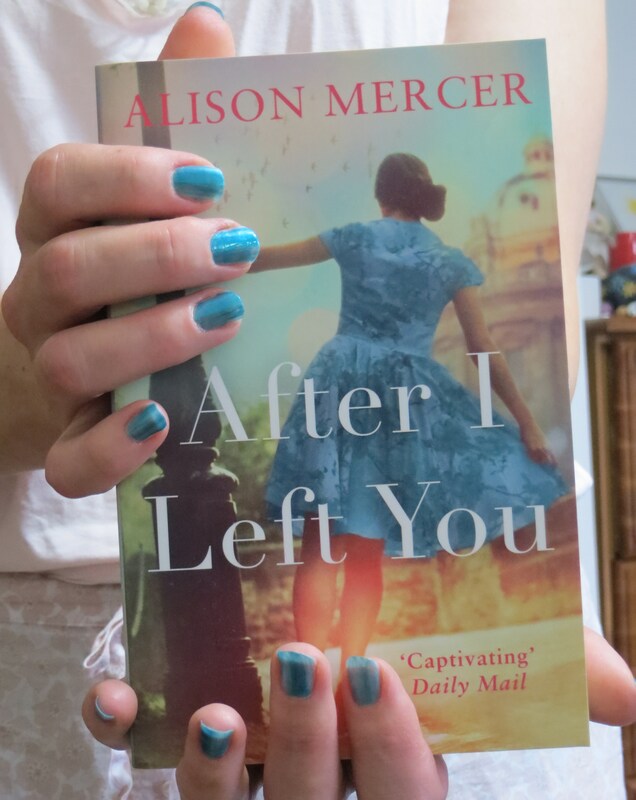 In After I Left You, there’s a stately home called Shawcross Hall where Keith spends a happy summer showing tourists round the orangery, and where Anna is finally given the chance to confront the past. I was so lulled by the sun and the champagne and the scent of grass and lavender and roses, and the gentle thud of elderly pop hits issuing from the grand house behind me, that I didn’t even jump when I heard footsteps and realized that someone was about to find me. 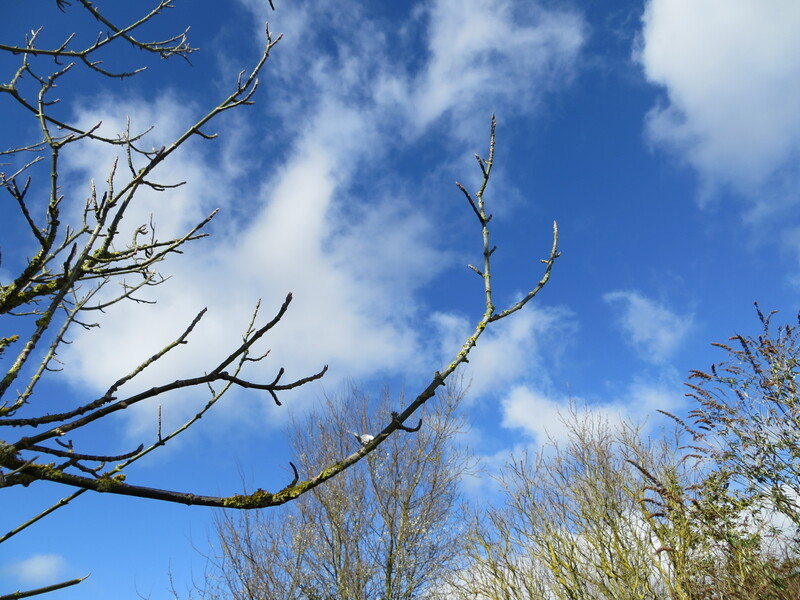 Something else I love about Oxfordshire, which you can’t help but notice wherever you are, is that it has such big and beautiful skies. Will After I Left You be your summer holiday reading? OK, people, here’s the news: the publication date for the paperback of my next novel, After I Left You, has been moved back to July 2014 − BUT the ebook will be published at the end of January. Isn’t reading a big part of the joy of going on holiday? In the above pic I’m deep in John le Carré’s The Honourable Schoolboy while on a boat holiday (check my 80s hairdo – I was a teenager). One of my best holiday reads ever was Erica Jong’s Fear of Flying, the one and only time I got some winter sun. I’ll always associate that book with the luxury of escaping from Britain in January. Sometimes there are changes late in the day in the world of publishing – it’s just how it goes. If you were looking forward to getting your hands on the paperback of After I Left You, I promise you it will be worth the wait! I love paperbacks myself – I spend a lot of my time staring at screens, so it feels like a treat to read a story in this format. It does mean we have stacks of books everywhere, but I kind of like that too – I’d miss them if they weren’t around. 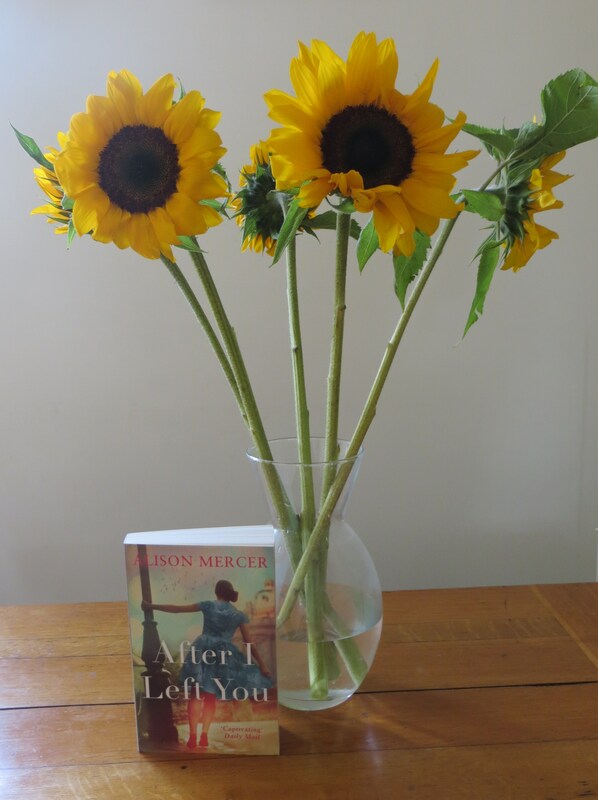 In the end, the paperback of After I Left You will have a much better chance of reaching as many readers as possible as a summertime book. Still, I’m really pleased that the ebook is coming out at the end of January and if this is the way that you like to read, I hope you’ll try it, love it and recommend it! There is nothing like word of mouth! 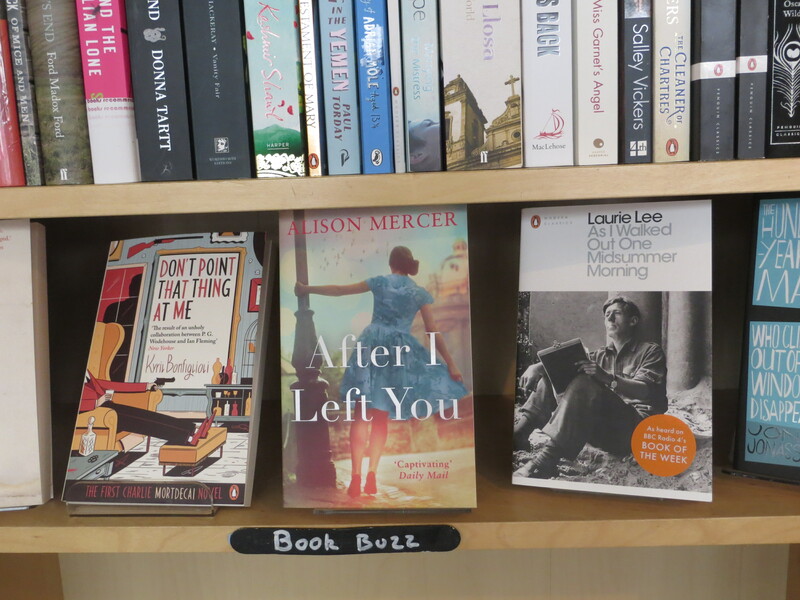 You can see a range of suppliers for both the paperback and ebook of After I Left You on the website of Transworld, my brilliant publishers (have a look round, they have lots of fantastic authors and I’m very lucky to be in such good hands). If you’d prefer to read the paperback, it should be stocked by all good bookstores, including local independents. 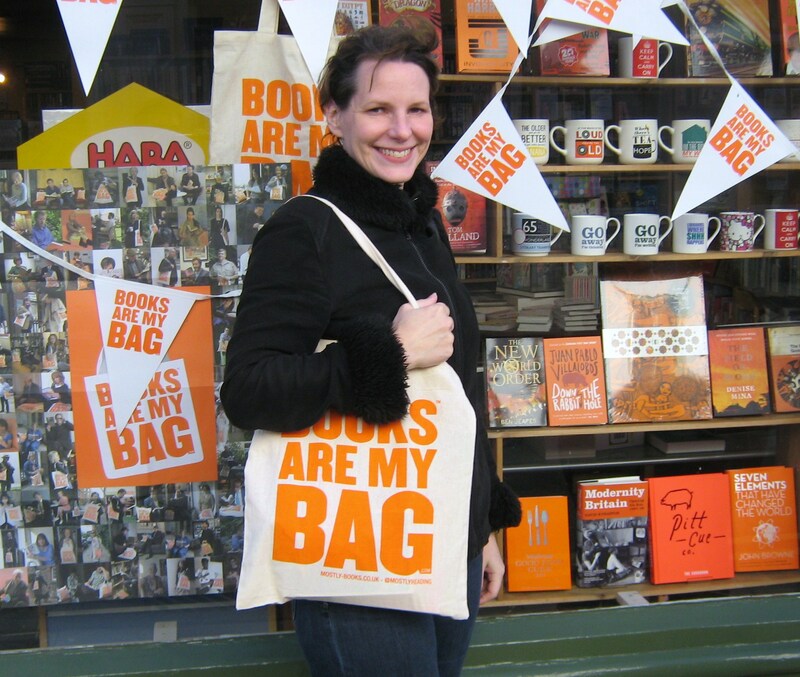 Independent bookshops such as Mostly Books in Abingdon are brilliant at ordering books in – I did my Christmas shopping at Mostly Books by sending an email with a long list and picked them up from the shop the next day. Mostly Books is also happy to post books to you. You can also pre-order the paperback of After I Left You or the ebook from Amazon. You’ll also find a couple of lovely reader reviews on Goodreads. 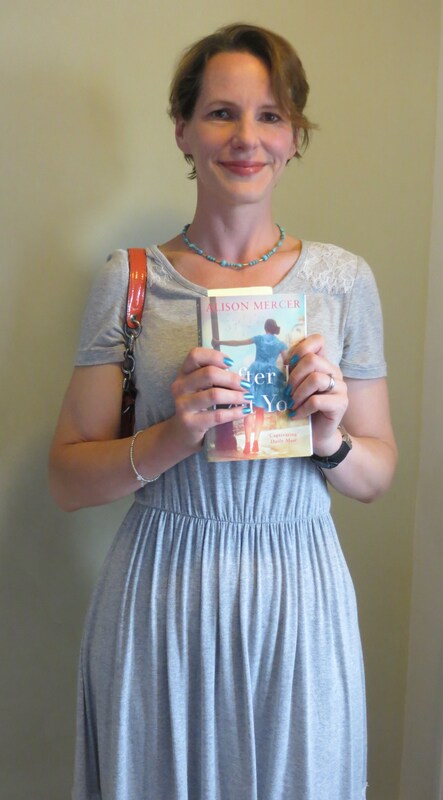 These readers won proof copies of After I Left You in a giveaway and I was really pleased they enjoyed it. At the risk of coming over all Gwyneth Paltrow at the Oscars, or at least sounding a bit corny, I found it very emotional to write, so it’s lovely when readers respond to that. I’ll be posting sneak peeks of After I Left You on my Facebook page in the run-up to the publication of the ebook. 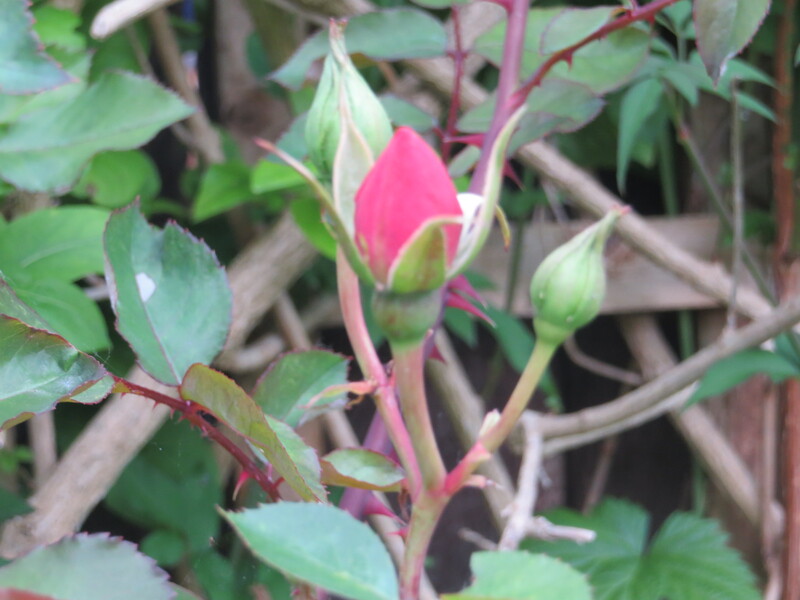 Right – now I have to crack on with writing the next one! 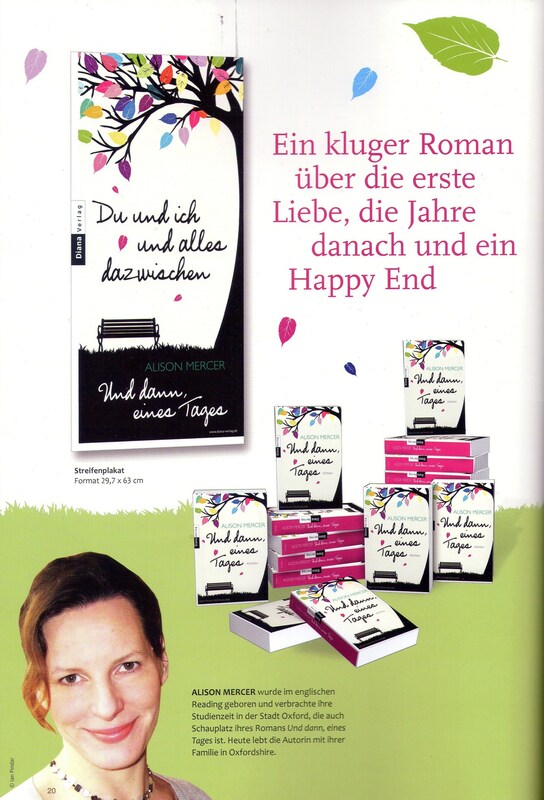 The German edition of After I Left You comes out in summer 2014, and it’s called Und dann, eines Tages. I love the cover design the publisher, Diana Verlag, has come up with – it refers to a specific scene in the book, as you’ll see when you get to it, but you don’t need to know this to pick up what the image suggests. 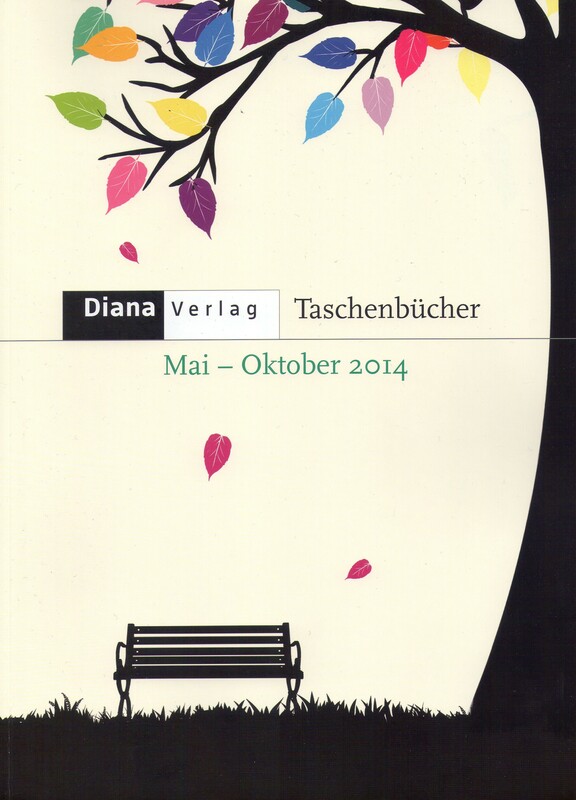 Just before Christmas I got a fantastic treat in the post: the Diana Verlag May to October 2014 catalogue. 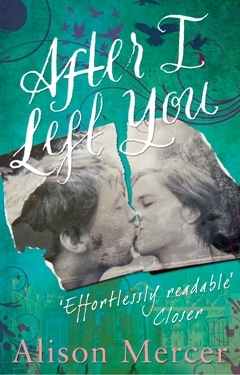 Their edition of After I Left You is on the cover and looking beautiful on a double-page spread inside. 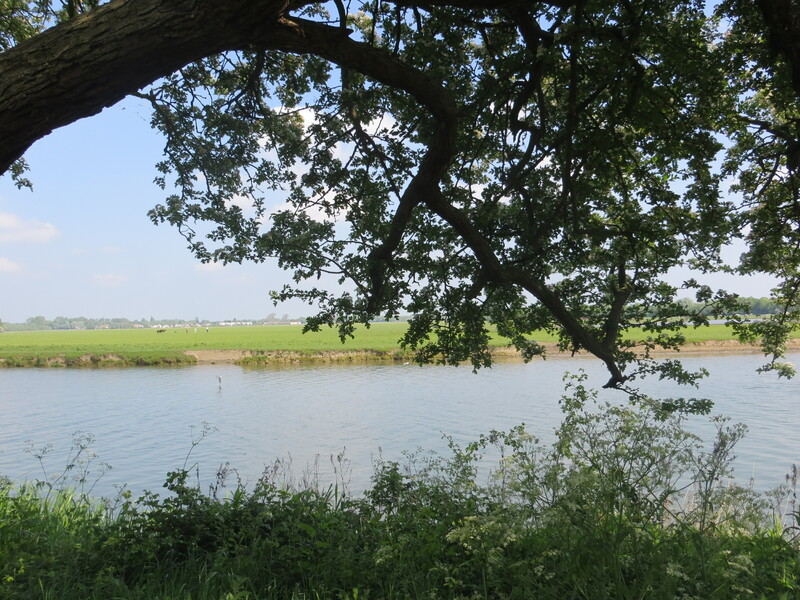 Once upon a time someone – perhaps several someones, friends or lovers – sat on that bench underneath that beautiful tree. Who were they, what happened to them, and where did they go? The catalogue describes the novel as ‘about first love and the years that follow’. The story opens with Anna sheltering from the rain in a London bookshop and bumping into Victor, her first love from her university days. She hasn’t seen him for seventeen years. This chance encounter is destined to change Anna’s life, but first both of them will have to face up to the secrets of her past. I am so pleased that the novel is being translated for German readers, and I really hope they will love it. 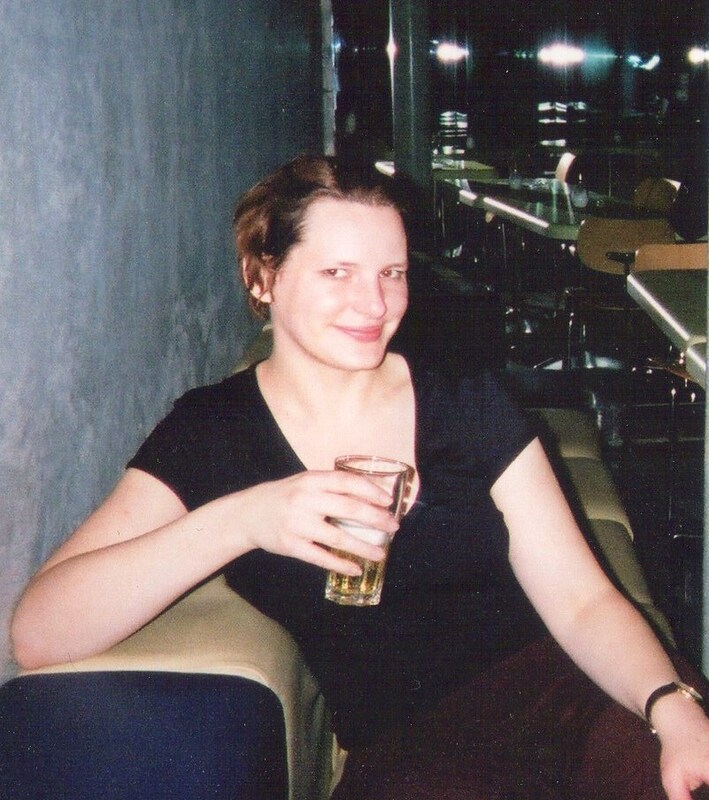 I’ve just been on a hunt through some old photographs to find a snap from a trip I made to Berlin back in 2000 – here it is! I thought it was a wonderful city, full of energy and busily rebuilding itself. It was also very friendly, and there were plenty of quirky little bars – I’m in one of them in this picture. At that time, there was a huge amount of construction and renovation work going on in Berlin – you’d walk along a row of houses and one would be awaiting restoration, the next would be covered in scaffolding and the third would be gleaming and good as new. There was very little evidence of when you were passing into the former East Berlin, apart from the bright pink overhead pipes that were used to carry cables, and, as I remember, the flat cap and pipe sported by the little green man on the pedestrian crossing signs. I don’t know anything much about architecture, but I remember the Reichstag building as one of the most beautiful and impressive I’ve ever visited – there’s something very powerful about being able to look down and see politicians toiling away underneath your feet! You can see a video of it here. The visit made me wish that I’d found some way to live in Berlin in the late 90s, and spent a little less time in London! I very much hope to visit Germany again one day. Here it is – the cover of my new book, After I Left You, due out in Jan 2014 from Black Swan. I’ve posted it on Twitter and Facebook and have had a really lovely response – even the chaps seem to like it! I appreciate this so much, as this is a peculiarly, irrationally nerve-racking moment. It’s the tipping point at which the book begins to shift definitively from being mine − something that sits quietly on my computer − to being yours (I hope), in your hands. It’s not quite the top of the helter-skelter ride that is publication; that will come in January next year – but it’s well on the way up. I really love the torn photo in this design. It makes me think of a box I have tucked away that has various bits and pieces of memorabilia in it: 20-year-old letters, postcards, and yes, a few photos. I have a hunch that most women have an equivalent to that box somewhere. (Men too?) I don’t look in it, but I know it’s there, like a time capsule. 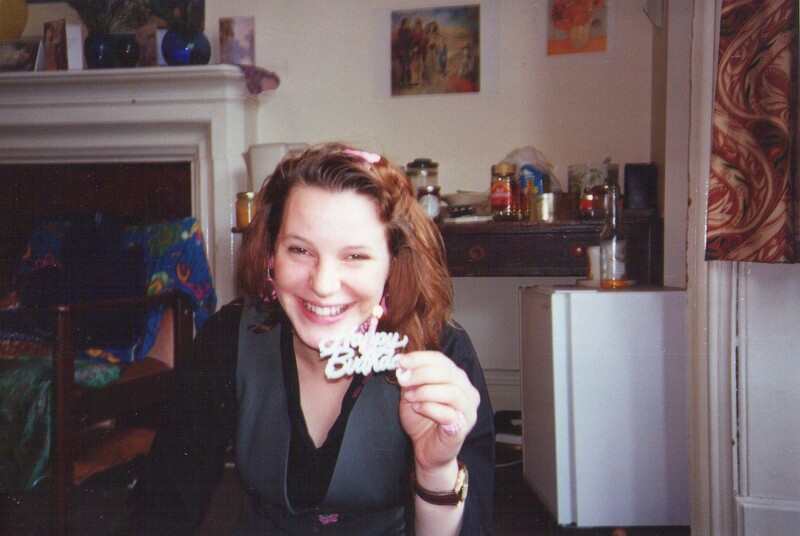 Anna hasn’t been back to Oxford since her last summer at university, seventeen years ago. She tries not to think about her time there, or the tightly knit group of friends she once thought would be hers forever. She has almost forgotten the sting of betrayal, the heartache, the secret she carries around with her, the last night she spent with them all. from the very first page. ‘Funny and moving, this is a fab debut’ new! After I Left You is available for pre-order from the publisher, Transworld. @AlisonLMercer @TransworldBooks that's really lovely, congrats Alison! Will def have to pick up!